Troops in winter camouflage on the march in Russia, 17 November 1941 (Vorphal, Federal Archive Picture 146-2005-0078A). Eastern Front: Marshal Mannerheim and General Hjalmar Siilasvuo of the Finnish high command on 17 November 1941 directs its forces to cease active offensive operations and dig in for the winter where they stood. This includes forces pursuing Operation Silver Fox, the advance toward the Murmansk Railway at Loukhi, and Operation Arctic Fox, the offensive in the far north toward Murmansk. 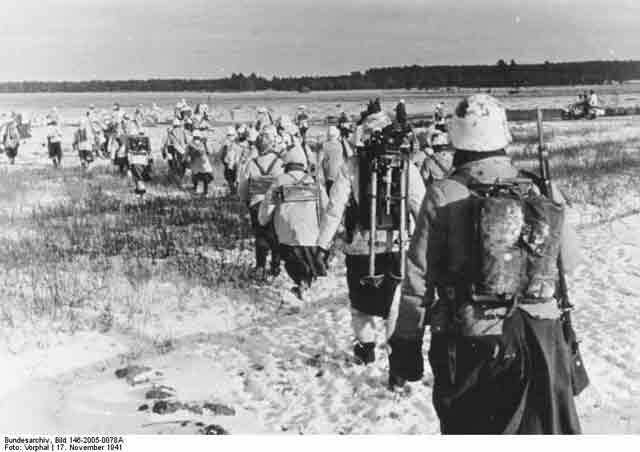 Since operations out of Finland have been led by Finnish forces and the performance of German units has been decidedly mediocre, this independent decision must be accepted by the Germans as a fait accompli. The German leaders are not happy about this decision and continually attempt to reverse it, with only occasional and minimal success. Thus, in the largest sense, 17 November 1941 marks the end of Finnish attempts to advance into the Soviet Union during World War II. 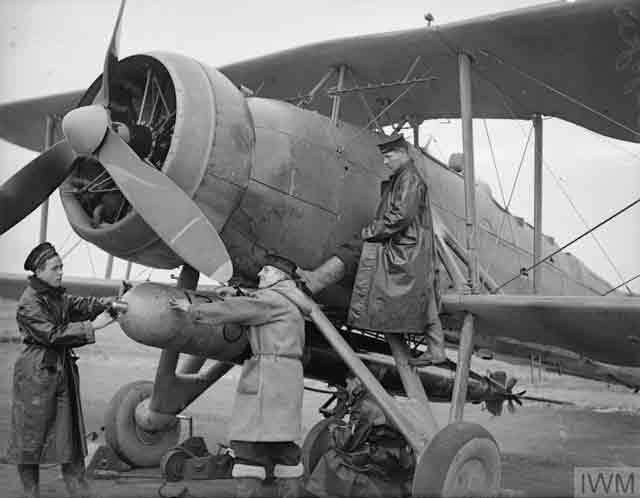 "A torpedo being secured to a Fairey Swordfish for a practice flight." This is for a practice flight from Royal Naval Air Station Crail, Scotland on 17 November 1941. © IWM (A 6277). The Finns have several different reasons for halting operations. They have been receiving intense diplomatic pressure from the United States and Great Britain to stop advancing, using the argument that further advances would imperil Lend-Lease supplies to the Soviet Union. The Wehrmacht troops in Finland have performed poorly, being unused to the forests and marshes that characterize the front, and have no prospects for being reinforced. This has put the main military burden on the Finns, who have been fighting hard and losing dozens of men every day and sometimes many more. 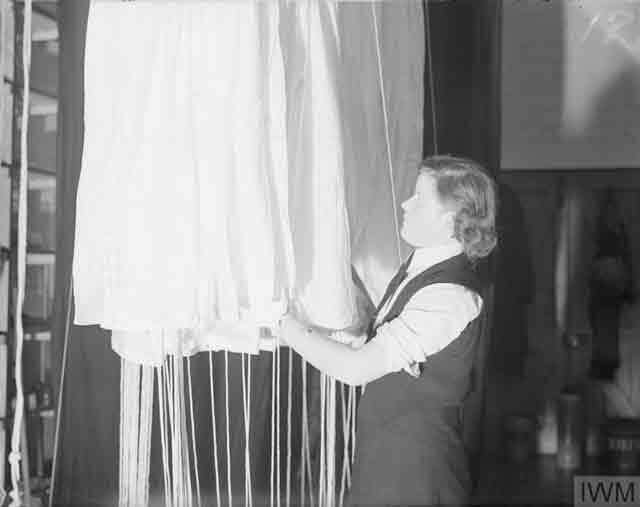 "A Wren parachute packer carefully arranging the parachute for packing." Royal Naval Air Station Crail, Scotland, 17 November 1941. © IWM (A 6286). Having the most effective troops under their control has given the Finns leverage to make whatever decisions they want without regard to German desires. In addition, and perhaps most importantly, Mannerheim always has taken the position that he never wants to create the impression that Finland is a threat to the Soviet Union. Mannerheim knows that his country could never survive such a relationship in the long run. Recovering lost territory is one thing, but attempting to conquer all of Russia is completely out of the question. Thus, ending operations makes more sense than aggravating further Finland's already tense relations with the USSR, Great Britain, and the United States. 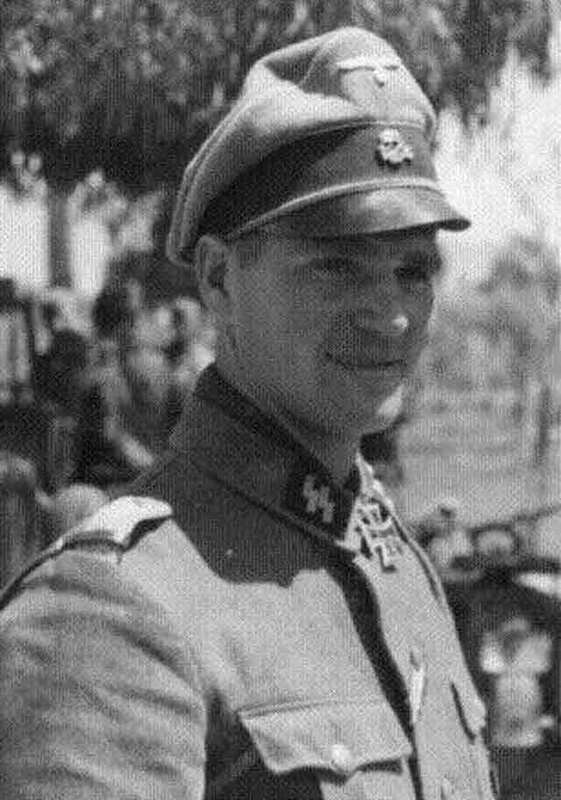 Gerhard Pleiß (20 April 1915 – 17 November 1941). An ordinary soldier, Pleiß stood on a mine and lost both his legs, and died on the way to the hospital. An officer in the Leibstandart SS Adolf Hitler, 1st Company, Pleiß compiled a photo album which chronicles the early actions of his unit. KIA 17 November 1941. The halt in activities leaves the Finnish front on the outskirts of Leningrad, on the Svir River, and running up parallel to the Murmansk Railway all the way to Petsamo. In the Arctic Fox area, Siilasvuo has waited until the Finnish 3rd Division west of Loukhi has killed 3,000 Soviet soldiers and captures 2,600, leaving them with a secure front and no Soviet remnants in the rear. The Murmansk Railway remains about 30 km (19 miles) to the east. Further north, in the Silver Fox sector, the front already has been stable for about two months, and the Finnish decision merely codifies the actual state of operations. Here, the German Mountain Corps Norway at least has occupied the Petsamo area and its extremely valuable nickel mines. However, the true prize, the port of Murmansk, remains far over the horizon. Supply difficulties all but rule out any resumption of the offensive in either sector without full Finnish cooperation which is not forthcoming. German Military: World War I flying ace Generalluftzeugmeister Generaloberst Ernst Udet, German Director General of Air Armament, commits suicide in Berlin. He shoots himself in the head while on the telephone with his girlfriend after expressing deep unhappiness with the actions of Reichsmarschall Hermann Goering, yelling as his final words, "Man of iron (Goering's nickname), why have you abandoned me!" (some sources claim he wrote this on the headboard of his bed in red). Udet has been in lingering disfavor with both Hitler and Goering due to the failures of the Luftwaffe during the Battle of Britain. Blaming Udet is unfair, as he never intruded on strategy, but the alternative is to blame Goering himself for the failure (and where the true blame does lie) and that is not acceptable. 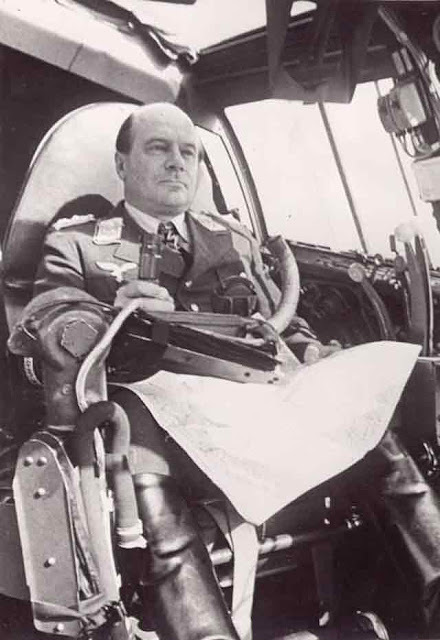 The fault did lie somewhat in aircraft procurement, as the Luftwaffe's medium bombers were inadequate to the strategic bombing tasks asked of them, but Goering had the final say in those decisions during the 1930s. Udet's death is an ill omen for the future course of the war, and the events surrounding the Udet funeral set in motion changes that will drastically affect the Luftwaffe's future. 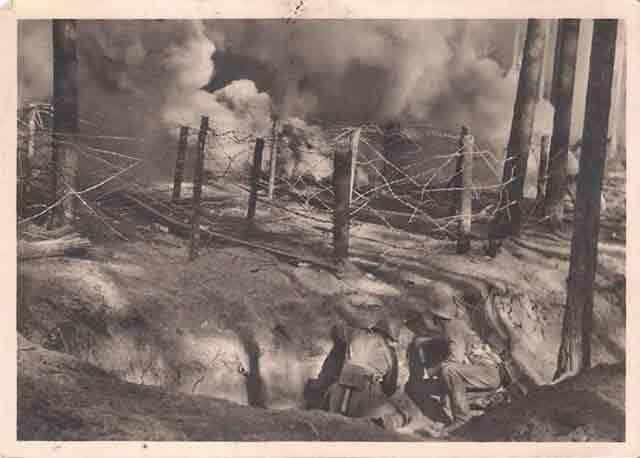 The back of this postcard image is dated 17 November 1941 with the inscription: "On the Eastern Front. A combat patrol operation is planned. The Pioneers have put up rounds of ammunition to break a path into the wire entanglement. Their work is covered from enemy view with smoke candles." Photo: Berliner Verlag/Archiv - Image ID: D9TKC3. Japanese Military: Kido Butai, the Pearl Harbor Carrier Striking Force, assembles at the mouth of the Inland Sea. It comprises six aircraft carriers, two modern battleships (Hiei and Kirishima) with 14-inch guns, two heavy cruisers (Chikuma and Tone), and numerous other ships. All told, the carriers have 360 planes, including 81 fighters, 135 dive bombers, 104 horizontal (high-level) bombers, and 40 torpedo bombers. The torpedo bombers' Type 91 Model 2 torpedoes have been specially modified to account for the shallow depths of Pearl Harbor. After dark, the ships of Kido Butai leave their anchorages and head north to a rendezvous point a thousand miles north of Tokyo. Admiral Yamamoto, who is remaining behind aboard a battleship, has had all senior commanders briefed on the mission. However, diplomatic efforts continue in Washington in a last-ditch effort to prevent the outbreak of hostilities, so the next step is subject to final orders from Tokyo. 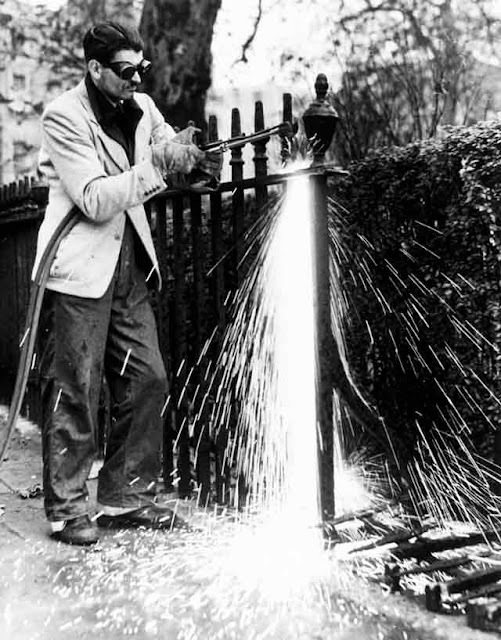 "A workman is using an acetylene burner on the Duke of Bedford's railings in Rusell Square, London. The metal was to be used to make airplanes." © Daily Herald Archive / National Science & Media Museum / Science & Society Picture Library 10313734.